The vaping industry has grown exceptionally over the past four years and for good reason. Not only can vaping be that well needed push to stop smoking but the start of a whole new community. It is very difficult to pinpoint which vaping brand is the best so we have put together the top 10 vaping e-liquids. Charlie’s Chalk Dust offers exquisite flavour and maximum strength. If you are looking for a fruity, berry e-liquid flavour then this is the vaping e-liquid for you. 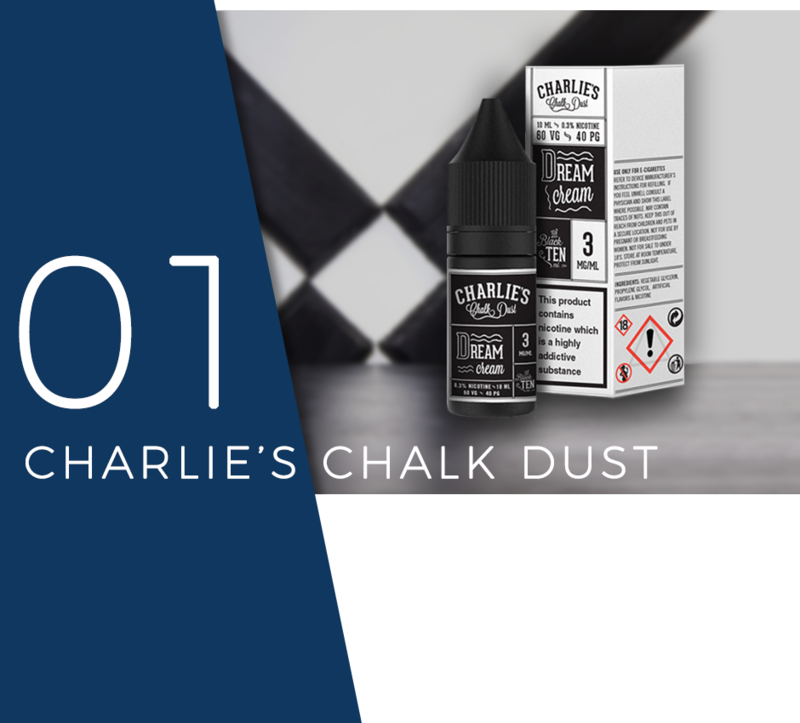 Charlie’s Chalk Dust is available in 50ml short fill sizes and 10ml sizes. The packaging artwork alone is phenomenal as the design resembles the traditional barber style. Charlie’s Chalk Dust don’t just stick to one specific flavour they mix and match like an old school sweet shop. Nasty Juice provide an extremely popular e-liquid range and have deservedly become a household name in Malaysia for their efforts. Nasty Juice e-liquid is available in a popular 10ml where you have the option to buy 5 and keep them in one exotic tin. If you prefer short fills, you can get the amazing Nasty Juice in a 50ml bottle which are perfect to keep and collect after use. Dinner Lady E-Liquid have one of the most amazing short fill bottles, a bottle which resembles a fruit shoot bottle can be quite contradictory but that is what makes the Dinner Lady brand so unique. 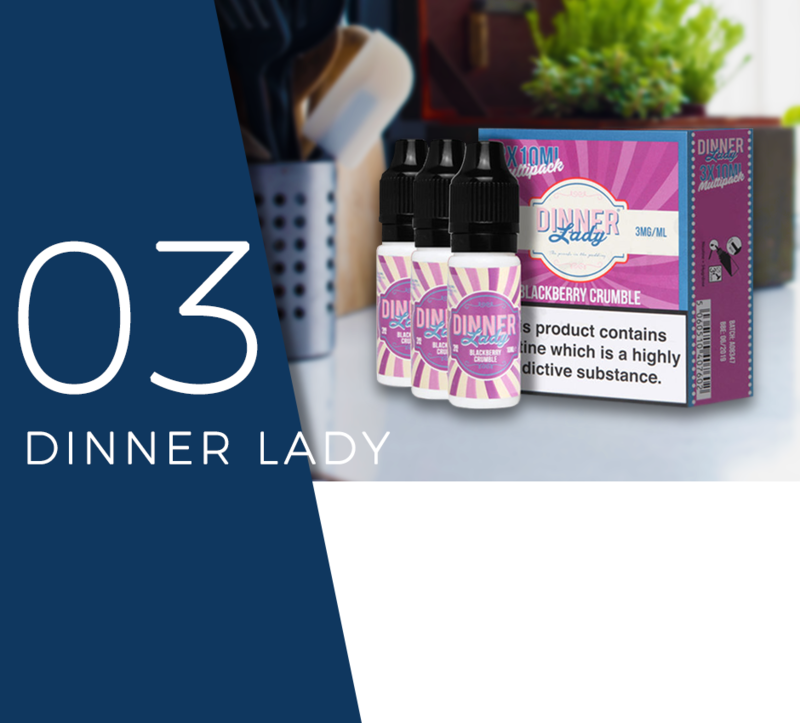 The flavours provided by Dinner Lady e-liquids are exceptionally fruity using only the purest of ingredients. This particular e-liquid brand is perfect for both beginner and seasoned vapers, so why not give it a try today. Doozy Vape Co are a family run business in Yorkshire with an extreme love for vaping. Doozy offer a variety of flavours including the more tropical flavours and even tobacco flavour for those wanting to move away from typical cigarettes. All of Doozy Vapes are designed and crafted in England with the option of 10ml bottles and 50ml bottles, all of which cleverly resemble sweet wrapper designs. I VG E-Liquids are well known for their fruity menthol vaping flavours. 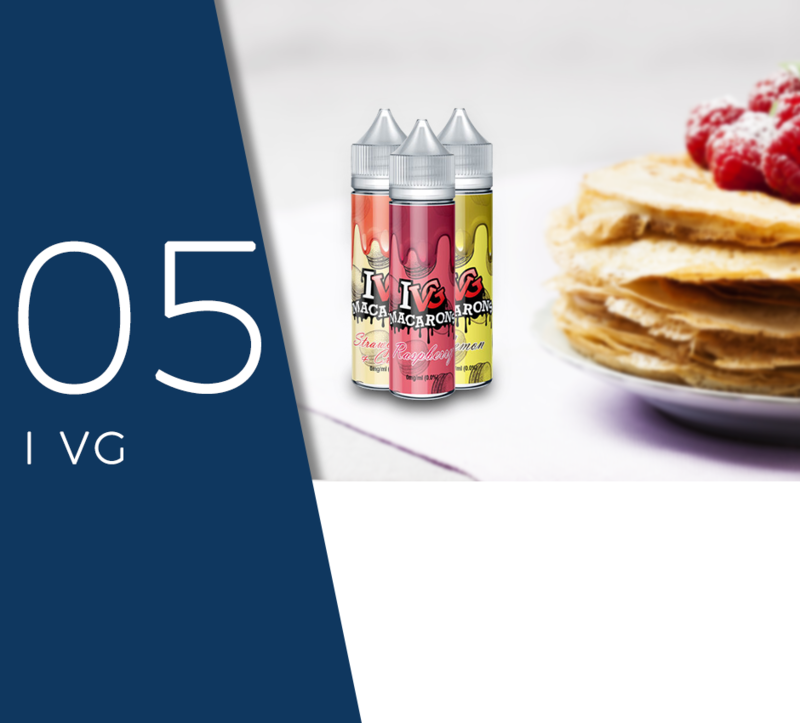 I VG are also known for their dessert speciality range which offer a pleasingly sweet vape flavours including homemade crumble, cookie dough and their most popular pancake mix flavour. I VG also specialise in their very own menthol short fill bottles, for vapers who like a menthol kick in their vape this is the perfect e-liquid brand for you. Twelve Monkeys vaping liquids are for those of the exotic nature. This particular E-Liquid brand is perfect for vapers who love to experiment with different flavours, sweet and savoury alike. Twelve monkeys also provide seasoned vapers with exceptional 50ml short fill bottles, but don’t worry just because the bottle is bigger this doesn’t mean the flavouring is any less or diluted. Twelve Monkeys are known for their amazing backstory and ever so lengthy lab conditioned procedures. Vampire Vape, who originate from Manchester manufacture all of their e-liquids here in England. These seriously fruity and flavourful vaping liquids are renowned for producing impressive clouds of vapour and giving a big hit. 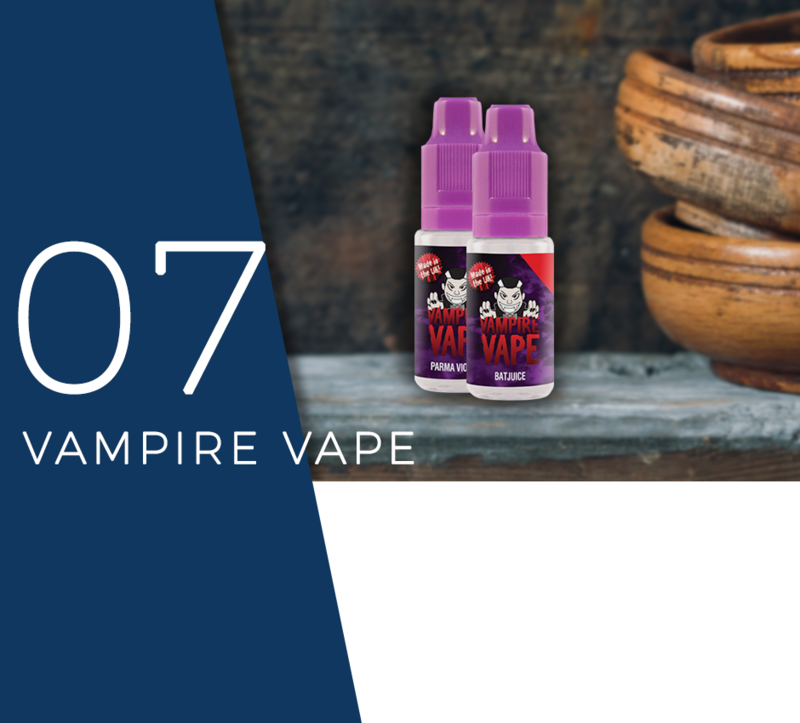 Vampire Vape offer a popular selection of flavours in a 10ml size and a variety of nicotine strengths. 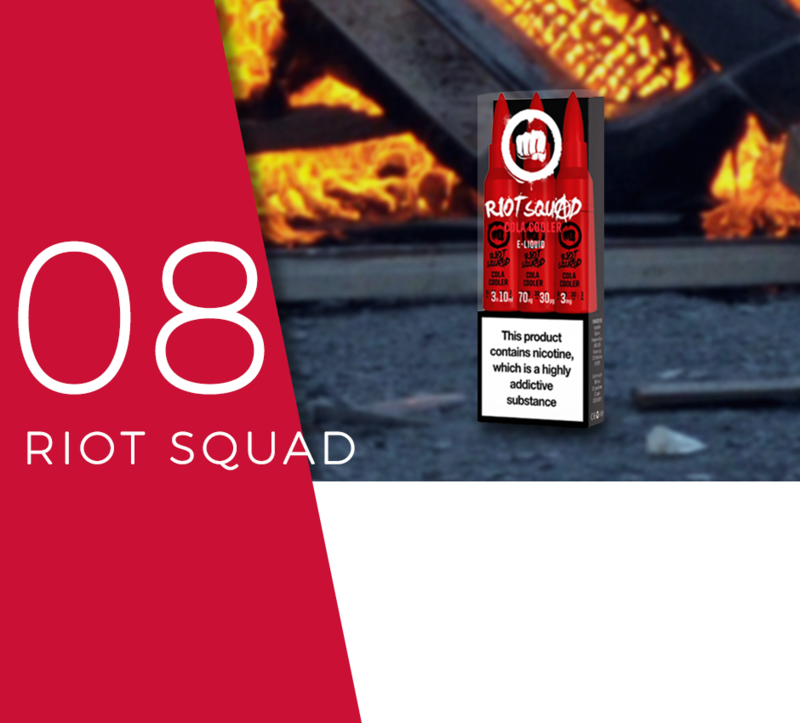 Riot Squad takes a fascinating approach to the quality of their e-liquids using high purity propylene glycol, derived vegetable glycerine and pharmaceutical grade nicotine – therefore beginners and seasonal vapers are sure they are getting great quality products and amazing flavours all in one. Zap! Have spent many hours perfecting their clinically clean e-liquid masterpieces. These particular vape juices use only the highest grade pharmaceutical nicotine and flavours to ensure their brand stands at the top of the vaping liquid tier. 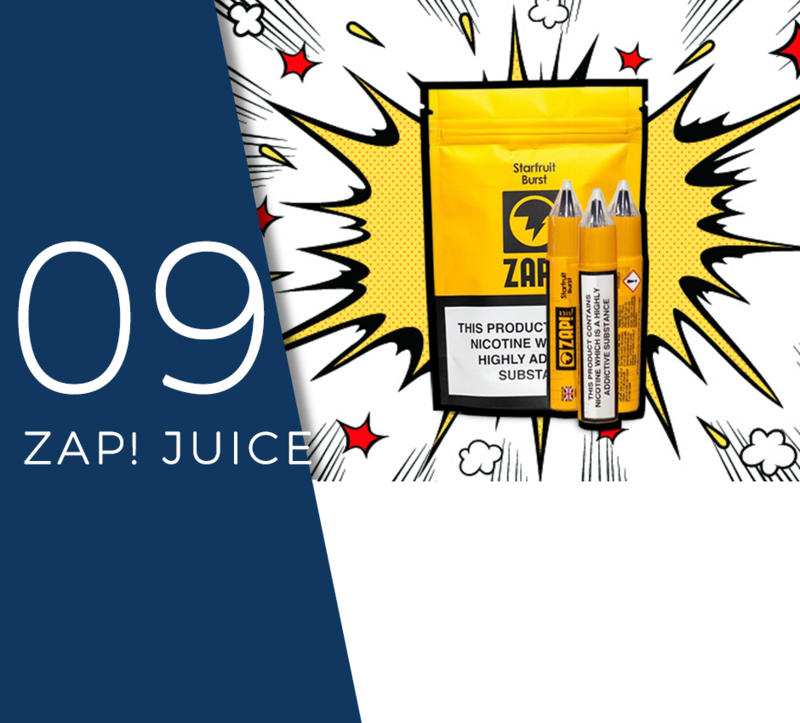 Zaps choice of packaging is simplistic yet incredibly effective and unique. Alternatively, if you prefer a 50ml short fill bottle, Zap! Provide you with only the fruitiest of flavours. Space Jam are widely regarded as one of the finest vaping e-liquid brands available. If your vaping tastes draw you towards a more creamy and fruity flavour then Space Jam is definitely a brand you should try. 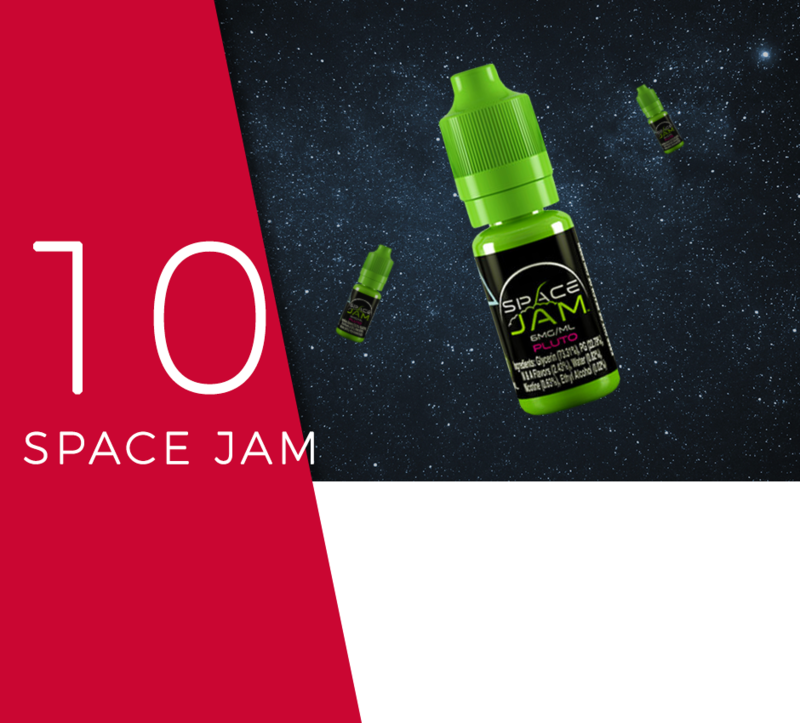 This particular brand also specialise in a high VG vaping e-liquid known as Space Jam High VG at 70% VG you are sure to get a high volume of cloud from your vape. Many ‘vapers’ tend to find one e-liquid they like and stick with it, but here at Vapestreams we encourage our customers to branch out, step outside of their comfort zone and try something new as well as a variety of flavours. Not only do we provide our customers with a great range of E-Liquids but we stock a fantastic range of short fill e-liquids, vape kits, vape mods, vape tanks, vape coils and vaping accessories.